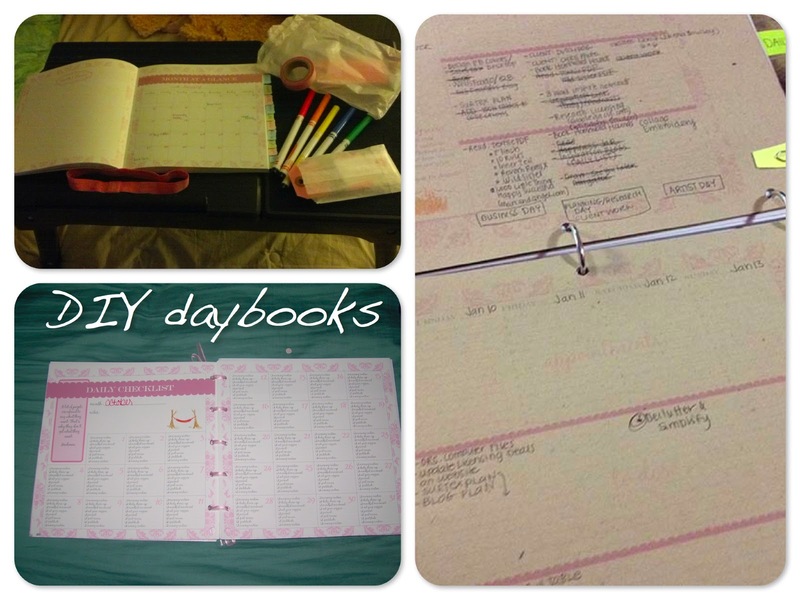 Would love to see more pics of the daybook pdf version which is the one I bought. I am debating if I should have it printed vertical or horizontal to fit in a regular binder, Is the bottom left a pdf or has the daybook been unbound? I purchased the PDF version and printed it double-sided horizontally and put it in a 3-ring binder that I then collaged. Love it! This was such a fabulous idea!! !